Centuries ago, Japanese women craved pure white complexions, inspired by the delicate beauty of geisha. To achieve a dramatic look, they commonly used oshiroi, a bright white powder made from rice often blended with powdered metals, oil and wax—and to remove it, they massaged emollient oils into their skin and rinsed them away, followed by a foaming cleanser. Our taste in makeup has evolved since then, but the Japanese practice of removing makeup and cleansing with oil is here to stay. This double cleansing ritual does more than just remove makeup—it also nourishes and hydrates the skin. 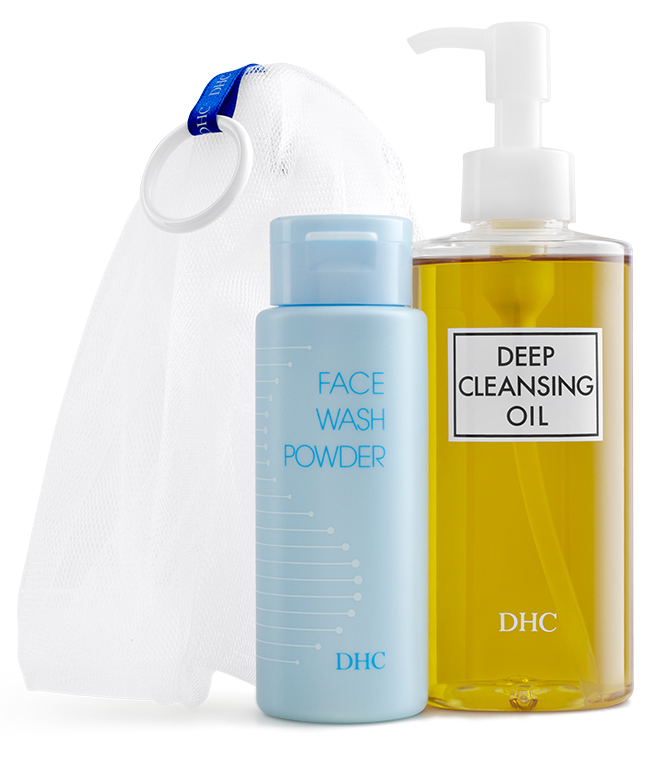 Our double cleanse regimen is a modern take on the centuries-old Japanese cleansing ritual. Simply put, it’s the best way to remove all traces of excess oil, sunscreen, daily grime, sweat, and eye and facial makeup—while preparing your skin for toner, serum and moisturizer. It does all this without clogging pores, upsetting your pH balance or stripping your skin of its natural moisture. Double cleansing won’t complicate your regular regimen. 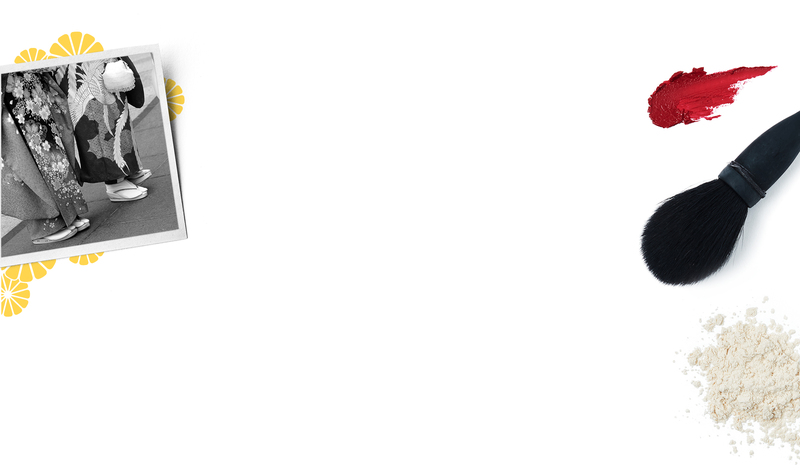 It only includes one more nourishing step to deliver benefits you can see and feel. Since oil naturally binds with oil, this step removes makeup, sebum and environmental impurities. Place a small amount of oil on dry hands and massage it over your dry face. Rinse with lukewarm water. Work a small amount of cleanser into a rich, creamy foam. Massage onto your face and rinse with lukewarm water. 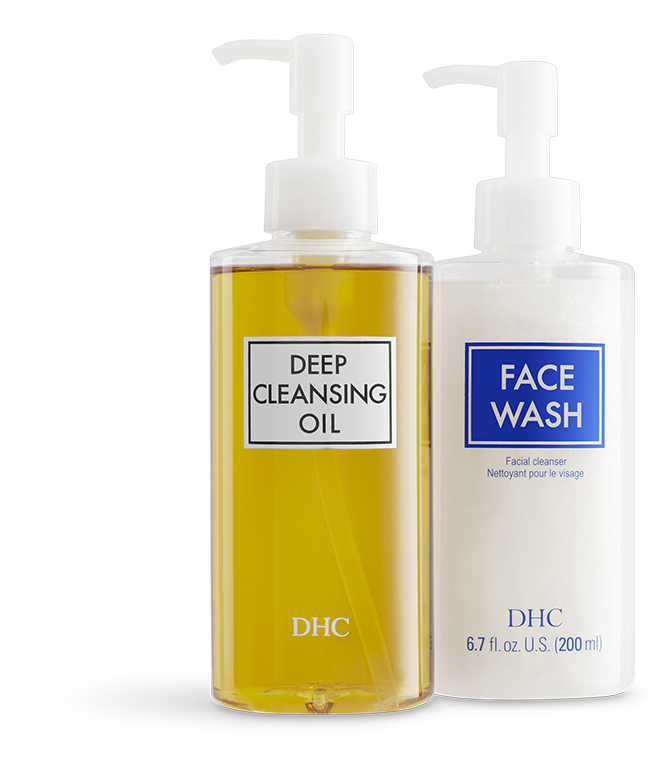 An ideal introduction to the Japanese art of double cleansing. Features bestselling Deep Cleansing Oil and Mild Soap, both powered by antioxidant-rich organic virgin olive oil. SUGGESTED SKIN TYPE: A go-to solution for all skin types. 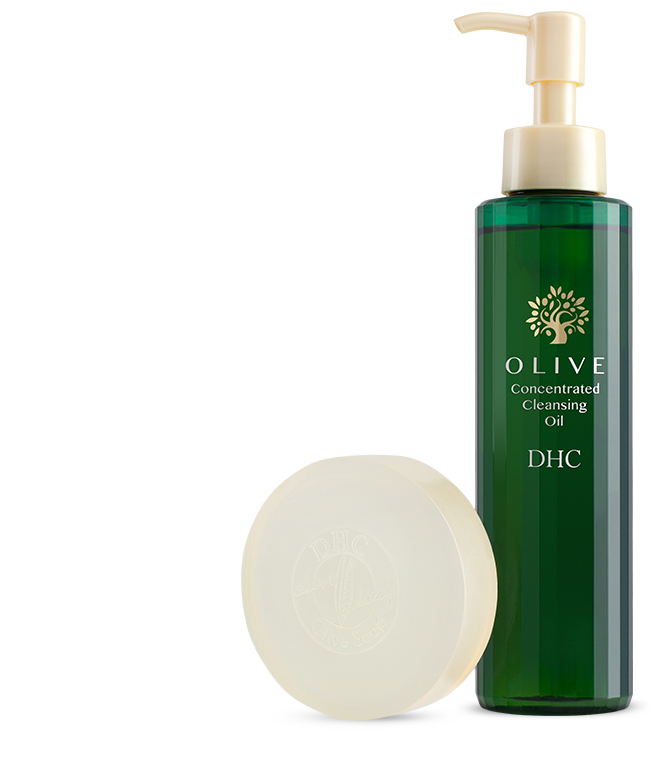 Our most hydrating cleanser, Olive Concentrated Cleansing Oil, pairs with Olive Soap beauty bar to rejuvenate and soften. Perfect for dry or sun-damaged skin. SUGGESTED SKIN TYPE: Ideal for dry skin. Minimize the appearance of pores with Pore Cleansing Oil and foaming, exfoliating Pore Face Wash. This powerful combo brims with botanicals like grapefruit, orange peel extract and olive oil. SUGGESTED SKIN TYPE: Optimal on oily or combination skin. Sweep away the day’s grime and makeup with Deep Cleansing Oil and follow up with lightly exfoliating Face Wash Powder. For extra rich lather, whip up a creamy mousse in our Foaming Mesh. SUGGESTED SKIN TYPE: Suitable for all skin types. Pair Deep Cleansing Oil with our liquid Face Wash, which energizes with rosemary leaf oil and hydrates with virgin olive oil while dissolving impurities. SUGGESTED SKIN TYPE: Works great on dry or sensitive skin. Find out why everyone is going on about Double Cleansing and everything you need to know about this centuries-old Japanese beauty secret.